100,000 Pak troops have moved from eastern border to crackdown on militants along the Afghan border. WASHINGTON: Pakistan has deployed 140,000 troops in Fata, moving at least 100,000 soldiers from the Indian border to back up its ‘unprecedented’ crackdown on militants along the Afghan border, says a Pentagon report. In its mandatory report to the US Congress on the situation in the Pakistan-Afghan region, the Pentagon notes that the deployment is the biggest in the country’s history on the western border. The Pentagon also acknowledges that Pakistani military operations in the tribal regions have had an impact across the border, placing a “high degree of pressure on enemy forces and reduced insurgent safe haven” in eastern Afghanistan. The Pentagon informs Congress that recent arrests by Pakistan of Afghan Taliban leaders, including the group’s No. 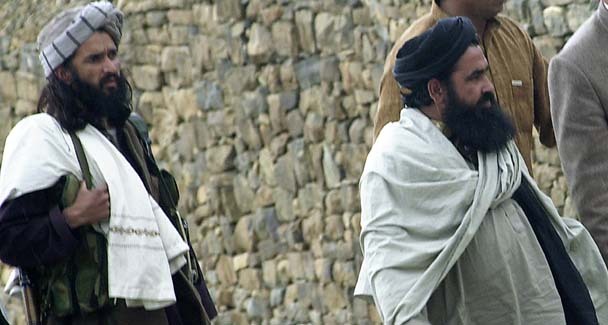 2, Mullah Abdul Ghani Baradar, have “increased insurgent leaders’ concern over the security of their safe havens” and created “financial and logistical” problems for them. This assessment contrasts sharply with the Afghan claim — backed by India — that the arrests have weakened Kabul’s efforts to seek a negotiated settlement with the Taliban leadership. The report quotes a senior US defence official as saying that the arrests in Pakistan produced “a lot of concerned chatter” among Taliban sympathisers in Afghanistan, but there’s no indication of “a leadership crisis in the Taliban”. The Pentagon notes that so far the crackdown in Pakistan is focused almost exclusively on internal threats and that’s why it’s not having any “significant impact on the Afghan insurgency in the short term”. But the crackdown “offers opportunities in coming months to have a greater impact on the conflict in Afghanistan depending on how PAKMIL (Pakistani military) operations evolve,” the report adds. 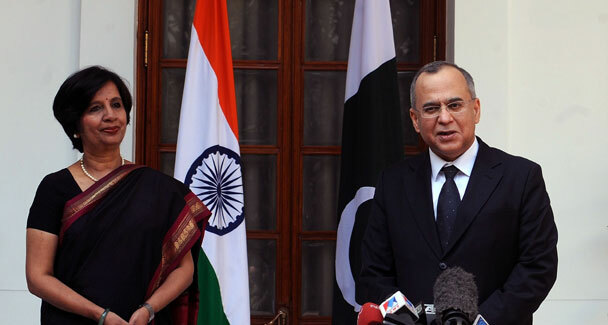 “Pakistan has suffered attacks from terrorists in response to its successful operations. 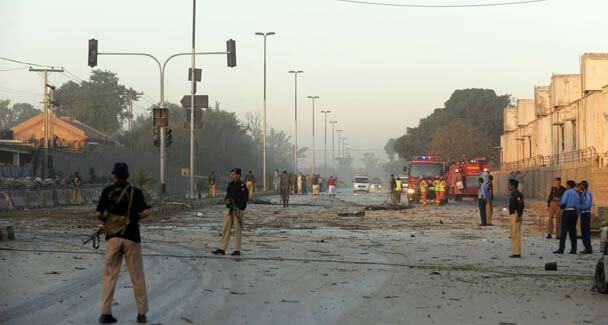 These attacks include mass casualty events in Mingora, South Waziristan agency close to clearing operations as well as in Lahore, far away from the fighting. “While these attacks do not appear to have shaken Pakistan’s commitment, they do demonstrate, for the time being, insurgent ability to continue attacks despite successful Pakistani operations,” the report warns. Former ISI official Khalid Khwaja found dead in NW :: Baitullah’s tape to be produced in ATC for probing Benazir Bhutto’s murder case. DERA ISMAIL KHAN: A former Pakistani intelligence officer abducted by an alleged militant group last month was found shot dead Friday in a northwest tribal region, officials said. 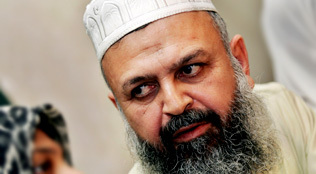 Khalid Khawaja went missing in late March along with another ex-intelligence official known as Col. Imam and a filmmaker. There was no word on the fate of the two others. Khawaja’s body was found on the road between Miramshah and Mir Ali, the two main towns in North Waziristan. Local TV channels broadcast a picture of what appeared to be Khawaja’s body. He had been shot in the head and chest, and a note attached to his body accused him of being an American spy, said the officials, who spoke on condition of anonymity because they were not authorized to be named by media. The men were first reported abducted in late March. Soon after, a previously unknown militant group calling itself the Asian Tigers claimed to be holding the men in a video delivered to local media. Any demands they had were not made public. Khawaja was known to be sympathetic to the militants cause, often appearing on television speaking in defense of suspected extremists. 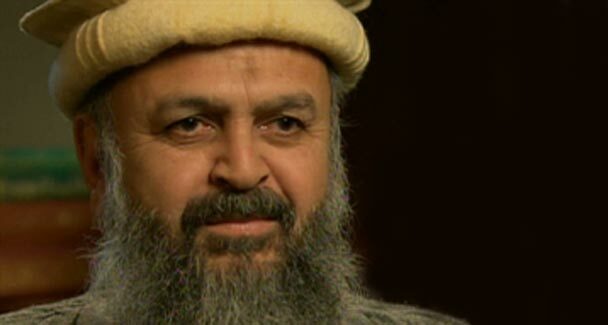 He has claimed to be close to Osama bin Laden in the early days of the Afghan resistance to the Soviet Union. Recently, he has spoken up in defense of five young American terror suspects on trial in Pakistan. ISLAMABAD: The joint investigation team probing Benazir Bhutto’s murder on Thursday decided to produce the telephone intercepts of Baitullah Mehsud before the Anti Terrorist Court Rawalpindi proceeding the trial of Ms Bhutto’s murder. The sources in the Interior Ministry revealed DawnNews that for this purpose the team directly approached Inter Services Intelligence which reportedly recorded that intercept but in vain. The sources said that now Interior Ministry has contacted ISI through Defense Ministry that the concerned officer who recorded that intercept should be deputed that he could be produced before the court along with the intercepted tape recording. 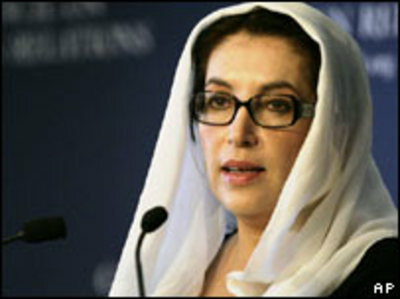 The assassination of Benazir Bhutto occurred on 27 December 2007 in Rawalpindi, Pakistan. Bhutto, twice Prime Minister of Pakistan (1988–1990; 1993–1996) and then-leader of the opposition Pakistan Peoples Party, had been campaigning ahead of elections due in January 2008. She was shot after a political rally at Liaquat National Bagh; a suicide bomb was detonated immediately following the shooting. She was declared dead at 18:16 local time (13:16 UTC), at Rawalpindi General Hospital. At least 23 other people were killed by the bombing. Bhutto had previously survived a similar attempt on her life that killed at least 139 people, after her return from exile two months earlier. Courtesy : DawnNews, AFP, AP, Wikipedia, the free encyclopedia and Agencies. 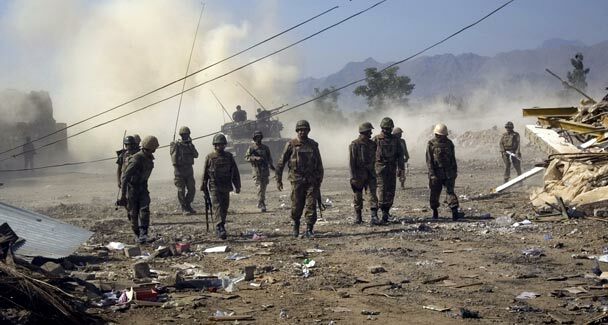 PESHAWAR: Two security personnel were killed and at least 13 injured in the latest clash in North Waziristan on Wednesday on Wednesday, 28 Apr, 2010. The casualties took place when militants attacked the ISA check post in North Waziristan. Four militants, which included three Uzbeks and a German, were also killed in the clash. 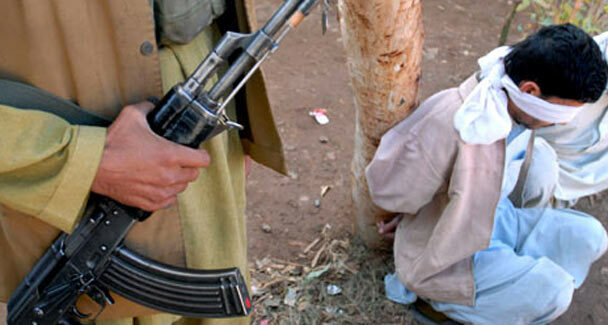 According to local sources, many of the Taliban groups had fled from South Waziristan and moved to North Waziristan. Many of these groups include Chechen and Arab fighters as well. The situation in North Waziristan is a complicated one with some factions supporting the government and providing safe passage to the Pakistan army. Meanwhile the operation in the Orakzai Agency is also continuing, with security forces claiming to have killed five militants in the latest phase of the assault. Hakimullah Dead or Alive ? New Turn to the Intelligence Agencies. The latest independent investigations and reports from multiple sources in the field led Pakistani intelligence to conclude Mehsud had indeed survived, though with some slight injuries, the official said on condition of anonymity because of the topic’s sensitivity. The Taliban have been known in the past to deny a militant leader had died even if he had. They waited for 18 days to confirm that Mehsud’s predecessor, Baitullah Mehsud, had been killed in an August strike as they squabbled over who would be his heir. Courtesy : DawnNews & AFP. PESHAWAR: A suicide car bomb attack targeted a police check post on the outskirts of Peshawar early Wednesday, killing four policemen and wounding six other people, police said. 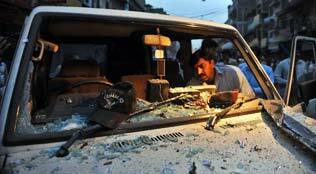 The suicide bomber rammed an explosive laden vehicle into an armoured personnel carrier, reported DawnNews. “The vehicle was coming from the tribal area. It was full of explosives and the suicide attacker was coming from Mohmand,” police official Liaqat Ali told AFP by telephone. The blast took place early morning and has severely damaged the police check post. Authorities have cordoned off the area. MIRAMSHAH: Militants have killed four men, beheading two and dumping the bodies in Pakistan’s northwest tribal belt after accusing them of spying for the United States, officials said Friday. 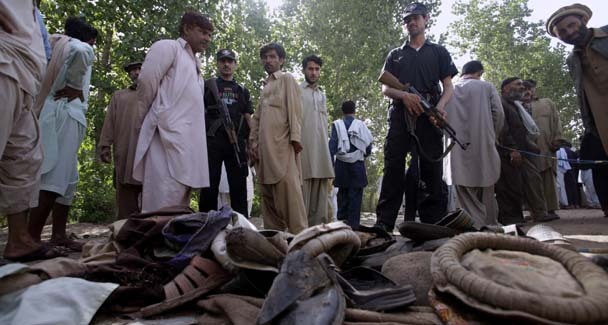 The bodies were found by the side of a road in Khadi village, 25 kilometres (15 miles) east of Miramshah, the main town in the tribal North Waziristan region near the Afghan border, local police officer Kalam Khan told AFP. He said that two bodies were headless, while the remaining two had multiple bullet wounds. Two of the men were Afghans while the others were local tribesmen who had been kidnapped from Miramshah three weeks ago. A local intelligence official said that a note found near the bodies said “all those spying for the US and Pakistan will suffer the same fate”. Militants frequently kidnap and kill tribesmen in the troubled region, accusing them of spying for the Pakistani government or US forces in Afghanistan, where Taliban fighters are waging an insurgency. Courtesy : The DawnNews and AFP. 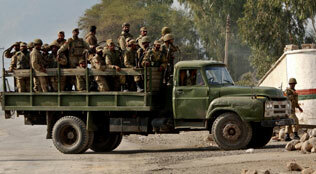 Militants strike fatal upon Pak troops in North Wazirstan:: 8 killed, 16 injured. ISLAMABAD: Militants ambushed a Pakistani army convoy traveling in a tribal region, killing eight soldiers, the military said Friday. ISLAMABAD – Militants ambushed a Pakistani army convoy traveling in a tribal region that is mostly home to insurgent groups focused on the war in neighboring Afghanistan, killing eight soldiers, the military said Friday. The attack could raise pressure on Islamabad to wage an offensive in North Waziristan, which has largely escaped Pakistani army action in recent years despite U.S. pressure for a crackdown. Militant attacks on troops in the region have also been rare. The army statement said the attack Thursday occurred in the Datta Khel area of North Waziristan, and that the convoy was “carrying out a routine movement” to the area from the town of Miran Shah. Sixteen soldiers were wounded in the ambush, one of the worst known to have occurred against the army in the border region in several months. The statement did not give many details. However, two intelligence officials in the northwest said tribesmen joined local Taliban fighters to stage the ambush after a 15-year-old boy in the area was allegedly shot to death by an earlier group of traveling soldiers. The boy was killed when troops opened fire after a roadside bomb exploded near the convoy, the officials said on condition on anonymity because they were not authorized to speak to media on the record. Pakistan has carried out several army operations in its semiautonomous tribal belt, where al-Qaida and various Taliban factions have long thrived. 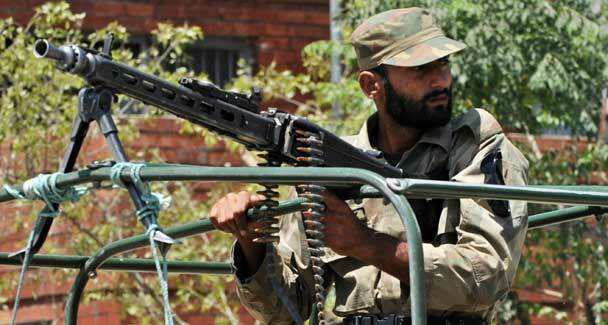 The offensives have mainly been aimed at militant groups targeting Pakistani institutions. 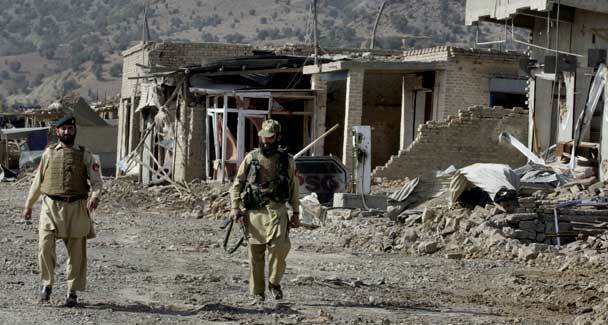 North Waziristan has largely escaped the operations because most of the militant networks there — unlike groups such as the Pakistani Taliban — are focused on the war in Afghanistan. The U.S. wants Pakistan to take on the North Waziristan networks, but Islamabad says it does not have the resources to open another front. Critics suspect Pakistan doesn’t want to anger militants it may need to influence affairs in Afghanistan once the U.S. leaves. The area struck Thursday is controlled by Sadiq Noor, one of the few Pakistani Taliban commanders known to operate in the region, said two other intelligence officials, also asking that their names not be used. 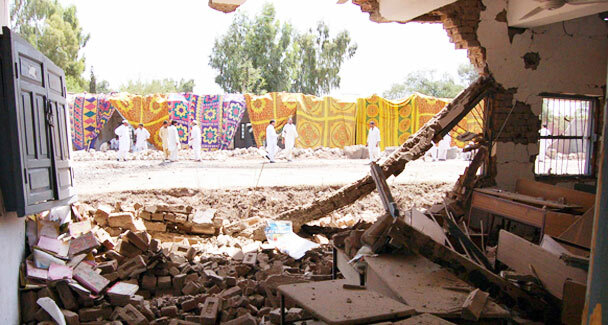 It’s unclear whether the attack will have any impact on the Pakistan’s army future designs in North Waziristan. 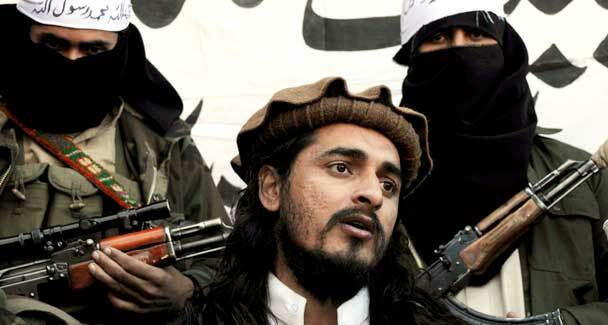 However, large numbers of Pakistani Taliban fighters are believed to have set up base in North Waziristan after the army began an offensive last year against their prior main stronghold, South Waziristan. Like most of the information given by the government or military out of the tribal regions, independent verification of the deaths is nearly impossible because access to the zone is severely restricted. Also in North Waziristan on Friday, the mutilated bodies of four men alleged to have been U.S. spies were found in Mir Ali town. Area residents and an Associated Press reporter saw the bodies Friday morning. One was beheaded, while the other three had slit throats and severed hands. Dozens of men have been killed in a similar fashion in North Waziristan in recent years. Like previous cases, notes attached to the bodies warned others to learn from the fate of the so-called spies.